Moody’s Lunch Service is San Diego’s foremost provider of mobile catering. Each of our food trucks has a full kitchen onboard. Instead of simply delivering precooked food, we cook our deliciously hot, fresh food on the spot, at your workplace and throughout the San Diego area. Our food trucks are also stocked with an ice chest full of cold drinks as well as a variety of snacks and fruit. Whatever your food service needs are, Moody’s can provide. 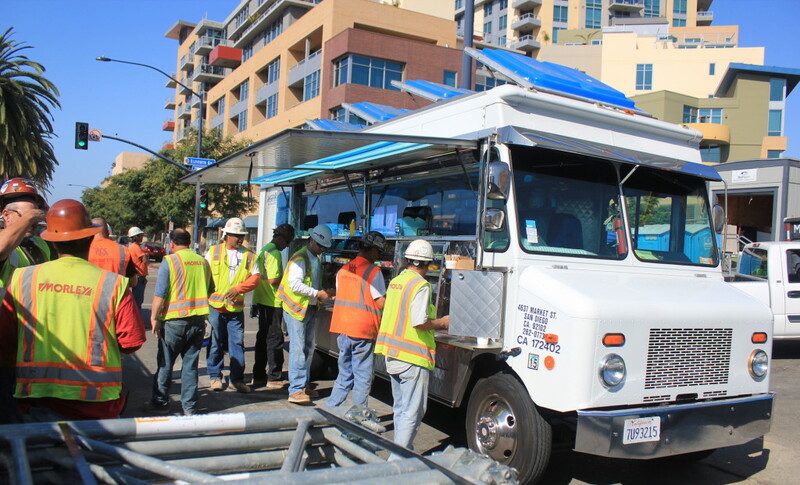 With a fleet of over 40 food trucks, we are able to serve almost any part of San Diego and the surrounding areas. If your workplace, school, construction site, or office is in need of daily food service fill out the form below. If you’re looking for event catering, click here. Which food truck would you prefer?